An all natural organic moisturizing Aloe Barbadensis based skin cream. Our skin cream penetrates deep into the skin, up to seven layers deep. It soothes dry, itchy skin and is NOT greasy. It leaves a silky soft, smooth feeling to your skin. “Problem” skin is resolved with the use of our cream. It Penetrates deeply into your skin so it won't wash off. Even after washing, your skin stays silky soft. "My hands have been dry for years. After using Organic Aloe just once, I found they were still soft after 2 days! I definitely recommend this product." 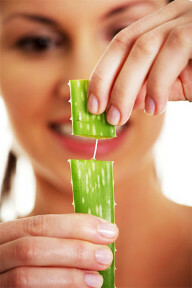 "I started using the Organic Aloe Cream. I had bad eczema on my fingers. Within a couple of weeks it went away. I use it on my feet and it keeps them fresh and without cracks. Thanks Organic Aloe." A.S. — Las Vegas, NV. "I have been using this cream for 2 years now and I love it. I use it as eye cream and it has helped with wrinkles and I use it generously on my feet before putting on my socks and my feet are so smooth without getting pedicures!" W.F. — Walnut Creek, CA. Organic Aloe Skin Care Cream does NOT contain mineral oil, petrolatum (petroleum wax), Parabens, antifreeze (Propylene Glycol), petroleum products or animal products. Organic Aloe Skin Care Cream is NOT tested on animals. 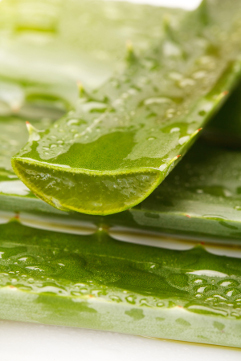 © 2019 Organic Aloe Health Care.